According to the excellent cookbook, Kochen wie im alten Bern (loosely translated as Cook Like They Did in Old Bern), in the 1700s there was hardly a Swiss cookbook that didn't mention some sort of Zitronensalat (lemon salad). Today the primary ingredients, lemon and sugar, are ones we take for granted. In Old Bern these would have been luxury items, and the dish would have not been available to everyone. Despite this, it seems to have been a favourite item on menus and in cookbooks. It is one of the easiest recipes to make—just lemons, sugar, and water—and deliciously refreshing. Perfect on a hot summer's day. 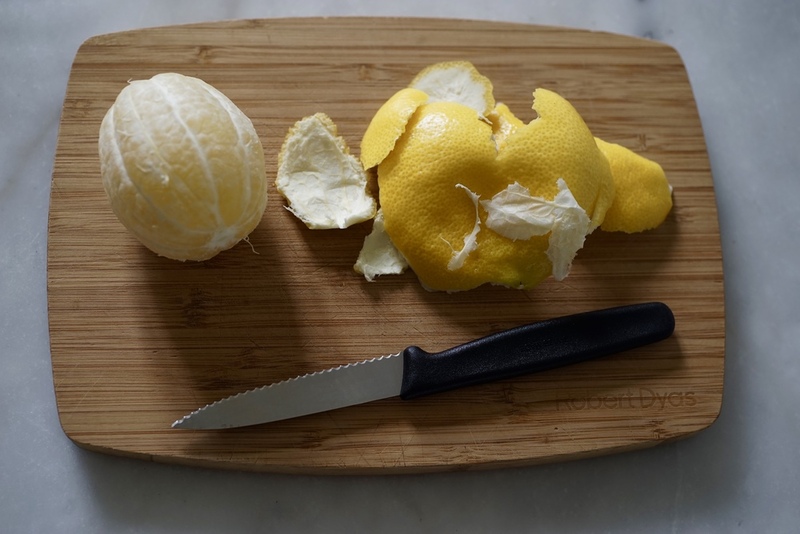 Peel the lemons, removing as much pith as possible. Slice into thin, equal rounds. Arrange the lemons artfully in a dish. Aim for about three layers of lemon slices. Sprinkle the sugar over top. Pour over the sparkling water and gently press down the lemons so that they are covered by the liquid. Cover with plastic wrap and chill at least 5-6 hours, or overnight. When serving, be sure to spoon over some of the sugary water, it cuts the extreme sourness of the lemons. This can be prepared the day before. I used sparkling water because of the satisfying hiss that it made when I poured it over the lemons. Regular tap water probably works just fine. Use the nicest, sweetest lemons you can find. To garnish you could sprinkle over thyme, marjoram, or another herb. Despite the sugar, it's still a pretty sour salad—serve in small portions.